Working is giving us stress, a tight schedule, a limitation of “me time” make us hard to get entertainment for ourselves. Moreover, in a crowded city such as Jakarta and Tangerang, it felt impossible to get just a simple recreation for us. But those thoughts only happened in the past. Nature always becomes the best place to get away from the crowded city and schedule even for just a moment. Just like in the South Tangerang that popular with its lake or the native called it situ Gintung. This lake located in the west of the Jakarta. This lake was built around 1932 – 1933 and located in sub-district of East Ciputat. With the natural and beautiful scenery, since 2008 this lake wasn’t only meant for irrigation purpose only, but also as a recreation object. Even in 2008, this lake was destroyed by the flood, but nowadays, this lake becomes pretty again and ready to welcome you who want to spend your time here. You can come to this Lake in the morning around 8 o’clock to 5 o’clock in the afternoon. The ticket price also not that expensive, it’s only around Rp.10.000 to Rp. 20.000 per person. The transportation access is also easy because you can reach this location by both public transportation and private transportation. There are two locations of this park, the first location is beside the Al- Azhar School BSD and the second location is near the Techno Park Industrial area. Those to parks are offering you a natural and beautiful place that can be your alternative in spending your holiday without going far. Moreover, this city park doesn’t require any ticket entrance. You just need to park your car if you use your private transportation. Also, you can reach this park by using public transportation, since the place is popular and in the public transportation route. Next cool place around South Tangerang is The Breeze BSD City. This place is actually a complex of the store, restaurant and also cafe that integrated with the natural scenery of Cisadane River. This place was purposed to become a lifestyle center in Serpong. There are about 65 units of store those purposes for the entrepreneur. This place is a perfect culinary and recreation complex that can be considered when we need a modern style yet simple and natural. We can come to this place by public and private transportation. And you don’t need any ticket entrance to enter this location. You just need to pay the parking slot if you use your own transportation. This place is also located in BSD City area. This is a beautiful building that looked like flying on the air that actually an educational place. This place is also having Froggy Edutography program, where the youth can develop the intellectual ability. So, even if you want to take the program, you still can hang around this cool building and take a Selfie. You don’t need any ticket entrance to enjoy the view. So, if you one of the urban people, this place will be perfect for hanging out. 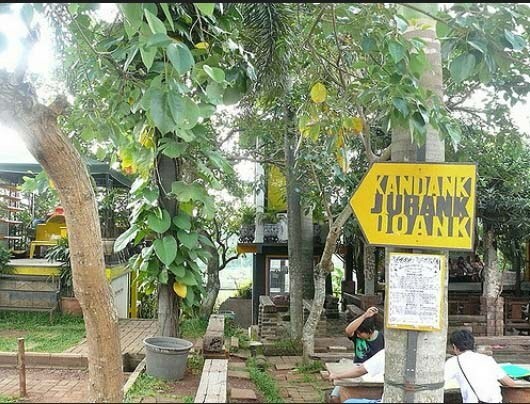 The name may be a little strange for you, this place actually is an outdoor school established by National artist name Dik Doank. It addressed in Pondok Sawah Indah (Alvita) Complex, South Tangerang. Anyone can join this school and this is one of the schools that deliver any subject and lesson in a very interesting and fun way. 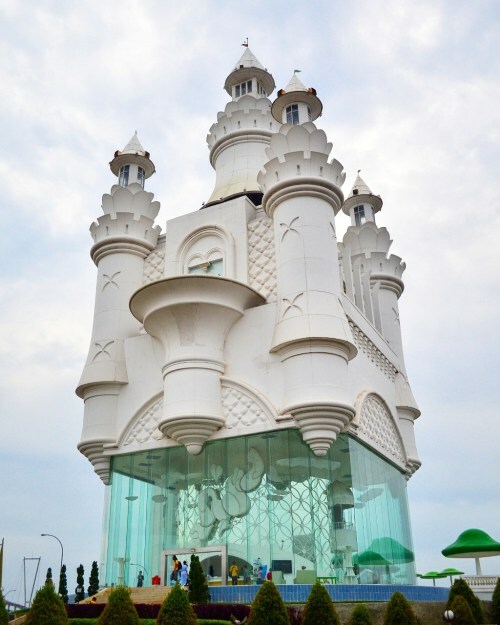 It becomes an important tourist asset in South Tangerang. So, if you want to hang out while learning, you better come to this site. You can reach this place easily by taxi or other transportation that want. 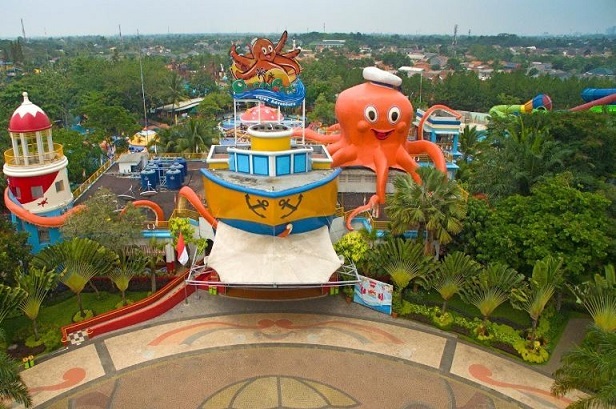 The next place is Ocean Park BSD City that located in the BSD City area. This tourist location is having a modern concept of water recreation. 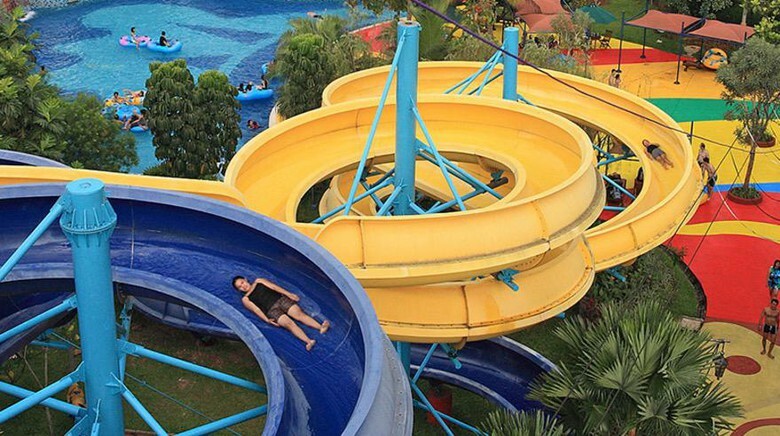 It becomes a must place to visit when you are in holiday because it has many facilities of water and pool area such as Splash Town, Pacific wave, Caribbean River, Race Slide and also lagoon The Bahama. This place is suitable for the family recreation since it purposed for kids and adult. This Park also easy to reach by all kinds of transportation, even the ticket entrance is a little expensive. 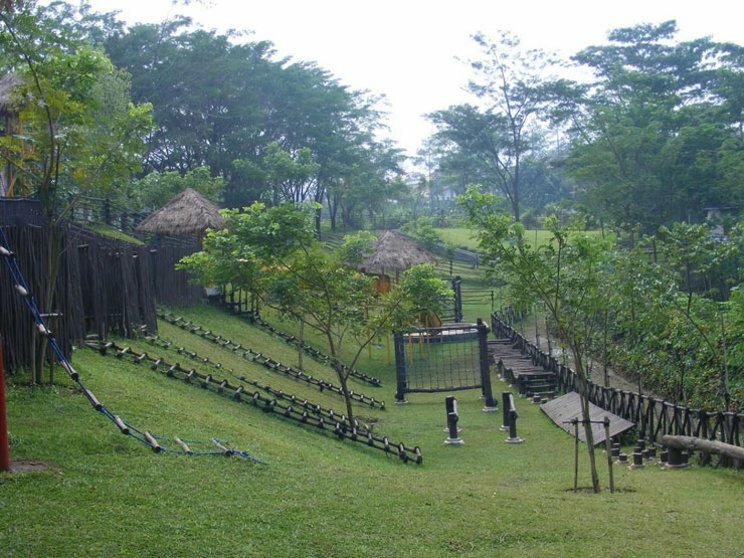 You can enter this place by paying Rp 40.000 per person in the weekday and Rp.75.000 in the weekend and holiday seasons. But there is also another advantage for the students and college students because on Tuesday there is a ticket for students. By showing their students card, they will get a 50% discount for the ticket entrance. 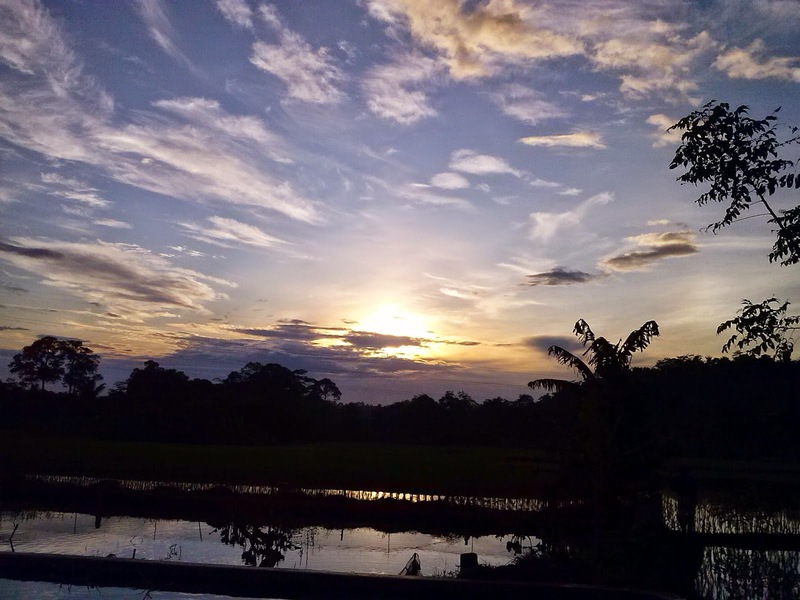 What’s the best places to visit in South Tangerang? This last place is a forest area that located in Merpati street No. 32 Sawah Baru, sub-district Ciputat, South Tangerang. This place as heterogenic trees and a little lake inside with a total of the area are 9 hectares. It is a rare place of a city for having fresh air, so coming to this place will help you refresh your mind. You just need to pay the parking slots. And this city forest is easy to find because it is in the public transportation route. That’s all some recommendations that will help you to decide what things to do in South Tangerang.